Rejuvenated by the mismanagement of the ICERD issue by the Pakatan Harapan government, the opposition BN-Islamist PAS slapped a massive defeat to Prime Minister Tun Dr Mahathir Mohamad regime in the Cameron Highlands by-election. Though it is only one defeat in five by-elections since the May 9th glory for the Pakatan Harapan, it is a sign that Malaysians will not allow any slips from the ruling coalition. While the election result is a testament to the new-found democracy in the country, the way the battle was fought on the ground was a clear test of the forces at play. It was also a sign that Malaysia has changed and shewill have better opportunities under the Pakatan than under the BN. However, another big test is on for the Pakatan and the revived opposition. The two political forces will fight it out in a pro-Pakatan state seat in Semenyih, Selangor. The PH has already decided to give way to Dr Mahathir’s party, the Parti Pribumi Bersatu Malaysia (Bersatu), to fight it out against the BN in Semenyih. The by-election will be held on March 2, following the death by heart attack of the assemblyman. A defeat will shake the PH further, perhaps giving it a chance to recollect on the real reasons it came to power, that is to bring changes to Malaysia. However, the opposition coalition between the BN’s Umno and the PAS believes the victory in Cameron Highlands is due to a major shift in Malay and Indian votes against the PH. According to the PAS, the Cameron Highland’s by-election shows the continuity of Bumiputera (Malay and Orang Asli) rejection trends against Pakatan Harapan. It says in the past four by-elections since May 9, BN or PAS have succeeded in increasing their support in the Malay or Bumiputera-majority areas compared to GE14. BN also managed to win back some of the Indian votes. The uneasy and unnoficial coalition between the PAS and the BN-Umno is also showing signs of resilience, the PAS said in an article in the Harakah Daily. It notes that in Cameron Highlands, PAS supporters came out in droves to vote for the BN candidate. 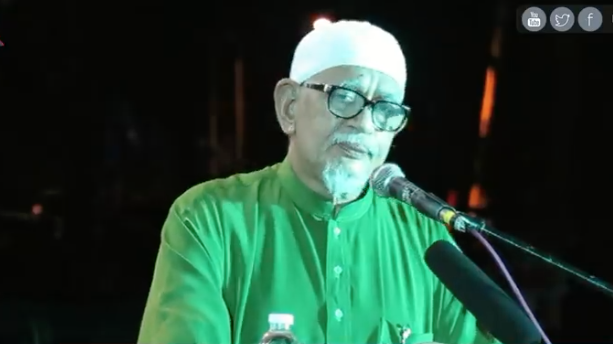 It said the last minute campaign by PAS leader Abdul Hadi Awang in Cameron Highlands boosted the confidence of the PAS supporters. Based on our article on whether ex-PM Najib Razak’s campaign for the BN at Cameron Highlands will make him or destroy him, well, it is still too early to tell. Observers told The Independent the Cameron Highlands seat was traditionally a Malaysian Indian Congress seat. The MIC won the seats in the last GE. But the mismanagement of the Mariammen Temple issue and the Pakatan’s failure to grapple with local issues in the estates caused its defeat. 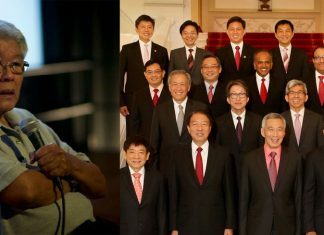 Indeed, Najib’s ‘troll’ against DAP stalwart Lim Kit Siang – who lost the battle on social media against the former PM in the run-up to the by-election – proved the former PM’s political career is not dead and buried yet. Najib played a big role in favour of the BN in the suburbs and deep in the heartlands of Cameron Highlands, particularly among the Orang Asli. It contributed to the bigger margin of victory while it also prove the BN is still a powerful party in rural areas. The Islamists are screaming that Najib is not a controversial figure for the opposition while Dr Mahathir, Mohamad Sabu and Lim Guan Eng made little impact in the rural areas in the by-election. Contrary to their expectations, the presence of Dr Mahathir, Lim Kit Siang (who was heckled by locals on several occasions) and that of his son Lim Guan Eng in the rural areas resulted in lesser votes for the PH compared to GE13. As a matter of fact, with the BN’s success (with the help of PAS), a future BN-PAS official coalition is on the cards. The two parties are now ironing plans on how they can capture the Semenyih state seat from the PH. While a BN-PAS victory will not mean the end of the PH reign in Selangor, it will be a tightening of the noose around the neck of Dr Mahathir’s government to deliver and stop squabbling over Malay rights versus non-Malay rights issues, for example.